Published on December 22, 2011 by cara.b.b. 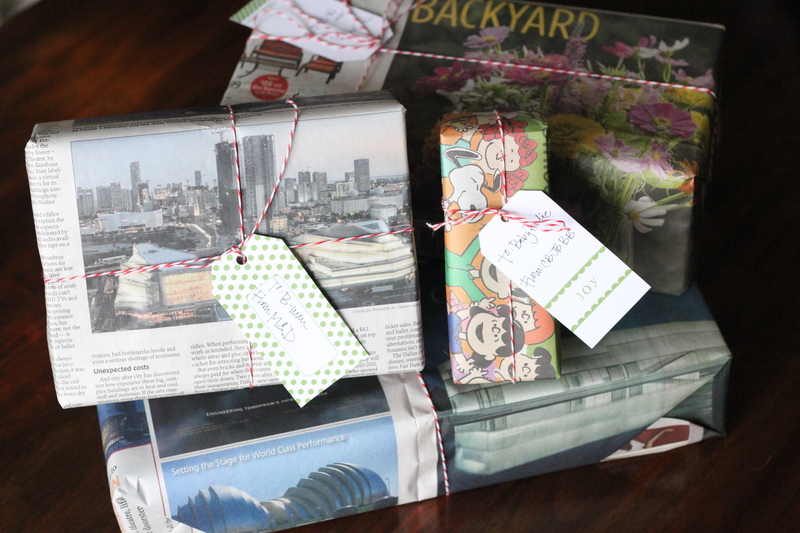 at the beginning of the year, we were getting the paper fairly regularly, and we decided that instead of just recycling them after we were done, we would repurpose them as our christmas gift wrap. we saved a lot of colorful pages or ones with fun events (like the opening of the performing arts center) so we could look back at the year as gifts get opened. i used some red and white baker’s twine (i’m pretty sure this thing will last forever) instead of ribbon, and some festive little tags to dress them up a bit. i think they turned out pretty cute, and i’ll challenge myself to come up with something more creative next year. let the games begin! 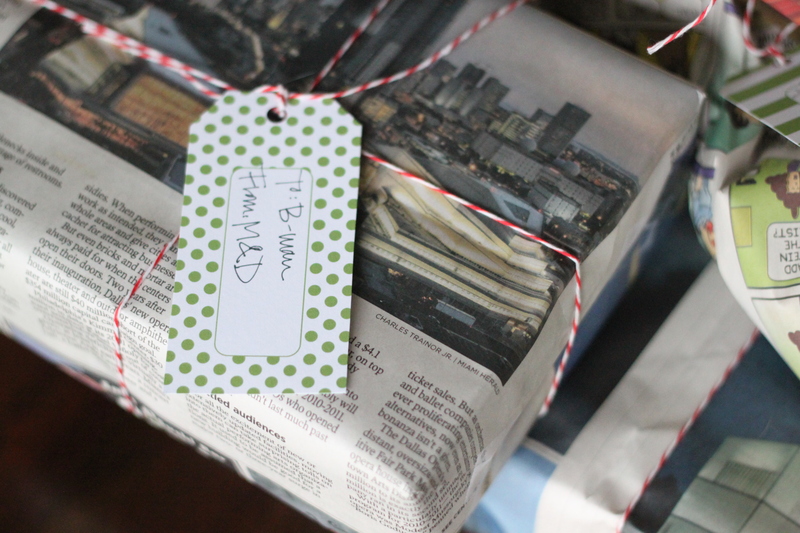 bear with me, my wrapping skills are far from great. Only you Cara! You are so creative!!! Love reading your blog!!! you’re sweet elizabeth, thanks!! merry christmas!